The Super Vent is the Repair Unit with the addition of a correctly proportioned Smoke Chamber design, constructed of type 316 stainless steel for lifetime durability. The Smoke Chamber is connected to a properly sized round or oval Super Flex® flexible flue liner (For more information on Super Flex® and new Super Flow™, go here) Cera-Foil® space age insulating blanket insulates the entire Super Vent™ system, stopping heat transfer to combustibles the cause of home fires. In homes where the fireplace is in question for whatever reason, the Bellfire Super Vent has established itself as a safe, state-of-the-art, non smoking super radiant fireplace retrofit system. 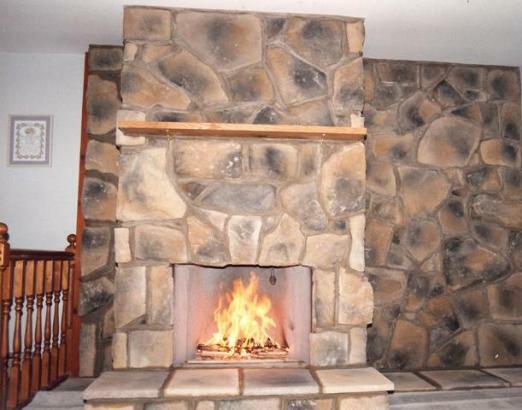 A thorough view of installation of Bellfires® BSV fireplaces can be found on these pages. Lintel Panel, Pair Woodburners gloves and Hand forged coal rake. View BSV dimensions 6" 7" 8" 9" 10"
6" 7" 8" 9" 10"
1-800-553-5322 to speak to a sales representative.